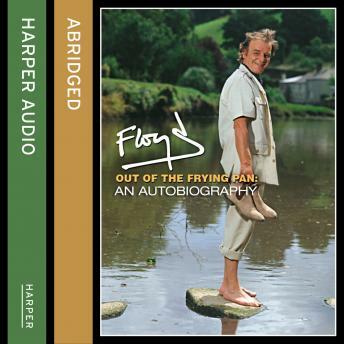 Keith Floyd's exuberant personality, as much as his cooking skills, has made him a favourite both as bestselling author and as television presenter. But here, for the first time, he tells his own story - and it is full of surprises. An idiosyncratic, splendid autobiography of a well known personality, and the discovery of a writing talent. The stories from his childhood in Somerset are vivid and moving: his grandfather with his tin leg, his mother at the mills, and his uncle, the ferret keeper and the black sheep of the family for 'carrying on' with married women. Keith Floyd spent a short spell on a local newspaper, and then, in a hilarious episode, joined the army. After he and the Ministry of Defense decided that they did not suit each other, he took his first cooking job as an assistant vegetable cook in a Bristol hotel. The great period of bistros and cafes had dawned and Keith Floyd was in the forefront, cooking in an open kitchen, with Pink Floyd blaring from the speakers. What is wonderful about this book is the vividness of the scenes he paints and the deftness with which he draws the characters - including his several wives. Those who have admired Keith Floyd's way with a whisk will now be impressed to discover and enjoy his remarkable skill with words.